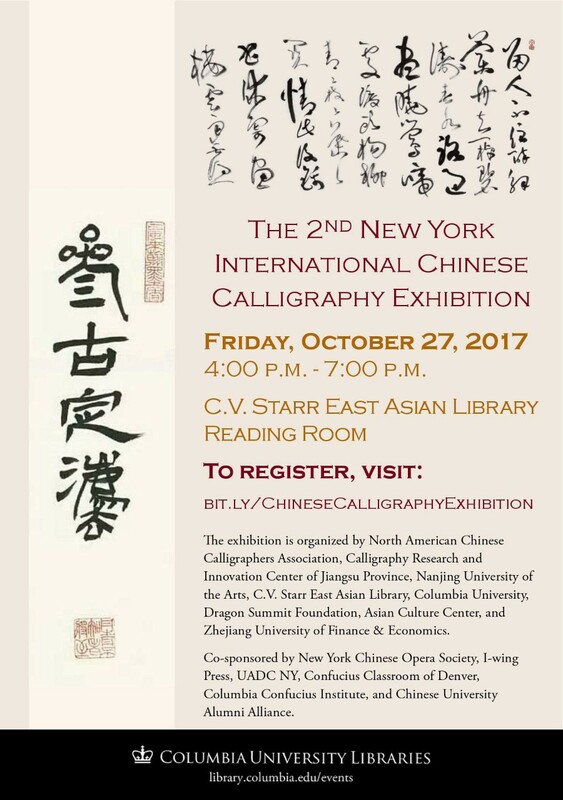 The Second New York International Chinese Calligraphy Exhibition (2017) will be hosted from October 27th 2017 to November 27th 2017 in the C.V. Starr East Asian Library, Columbia University. The exhibition is organized by a group of organizations including North American Chinese Calligraphers Association; Calligraphy Research and Innovation Center of Jiangsu Province, Nanjing University of the Arts; C.V. Starr East Asian Library, Columbia University, Dragon Summit Foundation, Asian Culture Center, New York Young Entrepreneurs Roundtable, and Zhejiang University of Finance & Economics. The event will be co-sponsored by New York Chinese Opera Society, I-wing press, UADC NY, Confucius Classroom of Denver, Columbia Confucius Institute, and is supported by Chinese University Alumni Alliance. The exhibition reception will be held 4:00-7:00 pm, on Friday, October 27, 2017. Registration required for participation in the reception. Please note that, to accommodate this event, the library reading room will be closed after 3:30 on Friday, October 27, 2017. 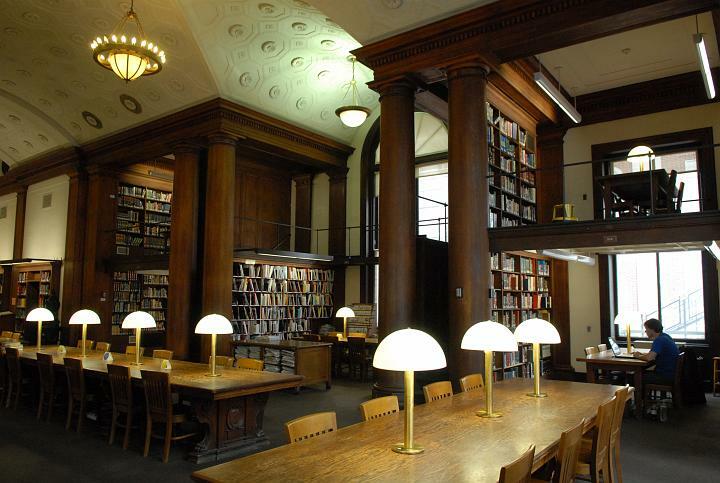 Public printing and scanning will remain accessible, and stacks will remain open according to the usual Friday schedule. This entry was posted in East Asian Events on October 23, 2017 by Ria Koopmans-Debruijn.